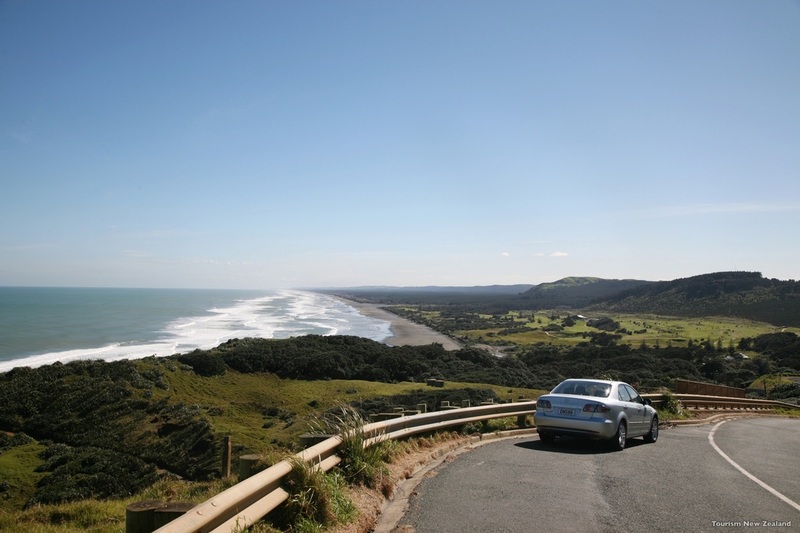 See the best of New Zealand’s North Island on this self-drive independent vacation. ​the capital Wellington, the National Museum – Te Papa Tongarewa and more. DAY ONE - WELCOME TO AUCKLAND! Welcome to Auckland, the ‘City of Sails’. Auckland offers all of the things associated with a sophisticated cosmopolitan city, from beautiful scenery to adrenaline pumping adventure - and first-class food and wine. Discover Waiheke Island. Take a picturesque 40-minute boat trip followed by a deluxe vineyard tour combines world-class wine with the beautiful surroundings of Waiheke Island. On conclusion of the tour, take advantage of the All Day Bus Pass. This allows you to either return to a destination on the tour, or discover the island further on Fullers Waiheke Island scheduled bus services. Pick up rental car and drive to Waitomo Caves. Your guide will lead you through the limestone chambers and passages to see stunning features and the famous 'Cathedral'. The highlight of a visit to the Glowworm Cave is a silent boat trip through the glowworm grotto. Marvel at Mother Nature's light display as you glide quietly beneath the lights of thousands of glowworms suspended from the cave ceiling. Continue on to Rotorua. This evening gain an authentic introduction to Maori culture that will leave you amazed and in awe. Be enthralled by the natural bush setting, see warriors in traditional dress, witness a cultural performance. Sit down to a traditionally cooked hangi meal – cooked underground. This morning drive to Napier. Afternoon at leisure. Begin your day with an art deco guided walk of Napier. Nowhere else can you see such a variety of buildings in the styles of the 1930s - Stripped Classical, Spanish Mission, and above all Art Deco, the style of the 20th Century - in such a concentrated area as Napier. You’ll receive an informative Art Deco Walk booklet. Complimentary refreshments and a movie screening are available afterwards. At the conclusion of your tour, drive to Wellington. Wellington’s compact village-like size makes the city an easy place to walk around, yet its cosmopolitan flavor it the sophistication of a big city. Visit Zealandia, a unique, world-first eco-attraction, providing an excellent opportunity to experience New Zealand's natural environment just minutes from the capital city. With over 225 hectares of regenerating native forest and 40 species of birds, Zealandia is surrounded by a world-first "predator-proof" fence, the forest and wildlife are able to thrive without introduced animals and pests threatening their survival - thus providing a safe haven for New Zealand's precious rare and endangered birds. There are no cages here - the wildlife is in its natural environment. Te Papa is a gateway to an encounter with the essence of New Zealand's land and people. Wonderful Maori cultural treasures, art, and objects are presented through fascinating stories, thought-provoking interpretations, and engaging interactives. Over the five floors of the museum you can explore the breadth of the New Zealand story - from the shaping of its land to the spirit of its diverse peoples, from its unique wildlife to its distinctive visual culture. Return your rental car to Wellington Airport.